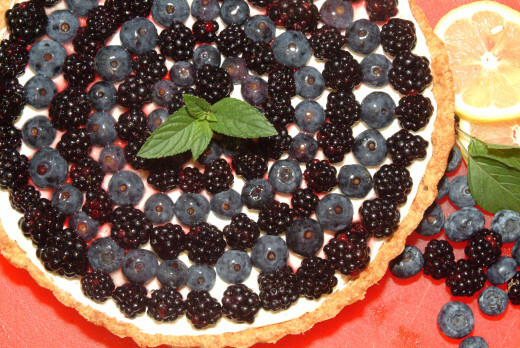 From berries to molasses, managing a very healthy diet for weight-loss is far easier than you have ever imagined! 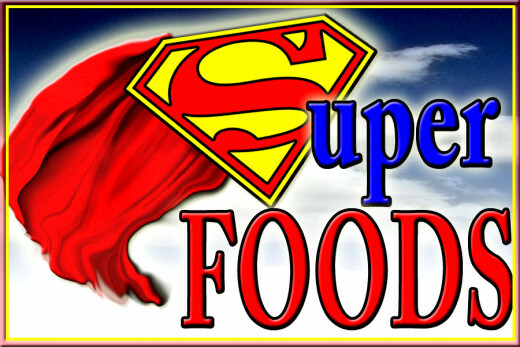 Super foods are important because they can change your life, as well as your waist size! The more fiber and hyper-nutrition you can get into your body, the better your sustained and healthy weight is going to be. If you love food like me, discovering that eating some great tasting super foods can help reduce your poundage, brings one super healthy smile. Even as there is no "legal" definition for "superfood", it is a word that generally depicts food with high nutrient or phytochemical properties. This means a food item will have a higher positive health impact, while having less negative impact. It has to be primarily absent of all the junk we find in processed or modified food sources, while remaining super high in healthy food values. If ease of preparation is important to you, than you are going to adore these 6 easy-to-eat superfoods. Keep in mind that, more than just these items are needed to complete a diet like that found in the Mediterranean—which is the healthiest diet in the word! Provides a miracle amount of selenium which; controls weight gain; lowers chances of having heart disease; and reduces the risk for getting diabetes. Add these up and the level of healthy attributes quinoa brings to the table can hardly be beaten. Low fat or fat-free plain yogurt - Higher calcium than other dairy products, while packing in probiotics for a healthy digestive tract and immune system. So simple to eat, just pop the top and dip in! Eggs - Research shows that when eggs are eaten at breakfast, less calories are eaten throughout the day. Great high-quality protein, cheap, and easy to boil and eat on the run. Kiwi - One of the top nutritionally dense foods, the kiwi is jammed full of antioxidants, vitamins C, D, & E, potassium, and of course fiber. Sliced or pealed and eaten like an apple, these make an easy to mange super snack. Quinoa - One of, if not the best, proteins you can consume. It is an ancient grain, easier than rice to make, quinoa offers super good fiber, and a superior source of iron, zinc, and selenium. Boil, season, and enjoy this nutty tasting super food! Berries - Loads of goodness abounds in these tiny packages. They offer tons of nutrients; antioxidants, phytonutrients, low in calories, while being high in fiber and water. So simple to eat, nothing seems easier. You will find almost 100mg of calcium in every ounce of almonds. They also are said to help those who have high cholesterol. 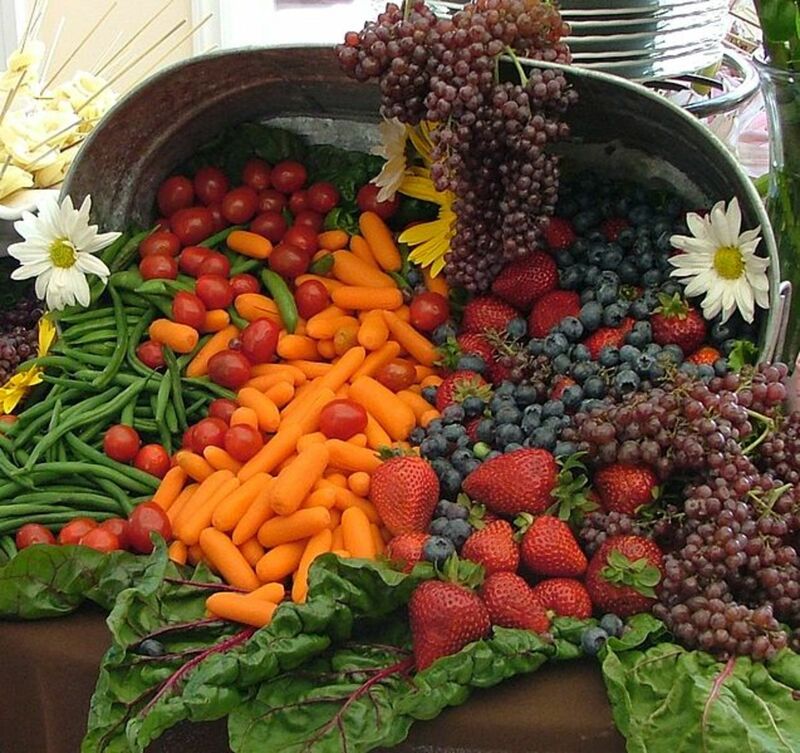 Many nutrients are found in these little gems, like; folate, potassium, as well as a good quantity of calcium. This slow moving sweet treat has more calcium than milk! Use it instead of sugar or syrup for a boost of calcium and iron. 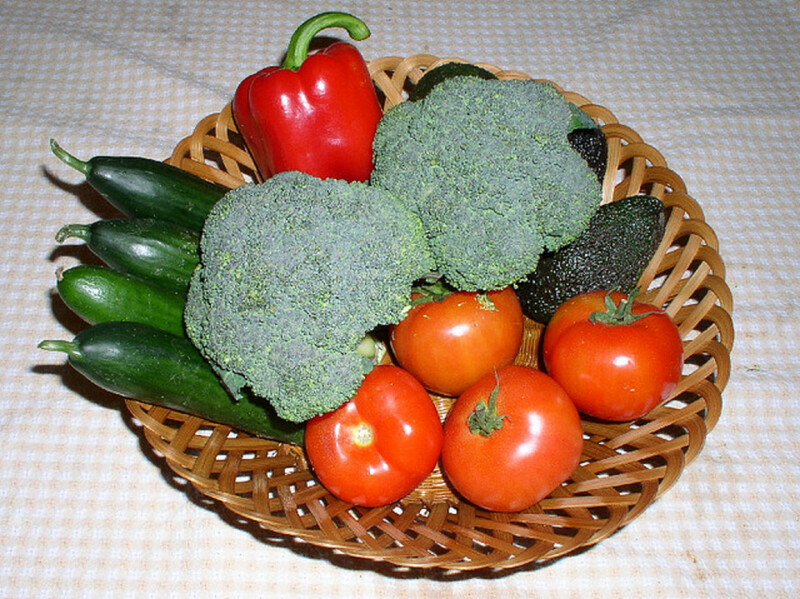 Steam broccoli as a side dish or use it raw in salads or as a snack. This green goddess is packed full of calcium. Fresh off the tree, figs make a great source of calcium. Eating four of the sweet tender dynamos will supply you with over 100mg of calcium. Super-food-green, and just packed full of calcium, minerals, and antioxidants. When a calcium boost is required, kale is a great go-to food, raw or cooked! Bringing a significant amount of calcium, just a single packet of instant oatmeal gives you over 100mg of the stuff! Enjoy a small glass of OJ with your high protein breakfast to boost your calcium stores. OJ also fits the bill for many other nutritional requirements. Moderation is the key. Not only super high in calcium, sesame seeds also provide fiber and unsaturated fat. Loaded with essential fatty acids and super-nutrients, this pink-fleshed beauty is also very rich in calcium. As far as I am concerned, calcium never looked so darn good! How do you feel about consuming dairy products these days? I love milk all dairy products, having many servings each day. I try to keep my dairy intake to only a couple of servings a day. I only eat or drink dairy once daily. I avoid dairy as much as is possible. I eat good quality yogurt as my only dairy intake. I never eat or drink anything dairy. We have, at this point, pretty much covered what a superfood is, while discovering a few that are really easy to eat on the run or make quickly at home. Now, it's time to take a look at six of the all-around BEST superfoods for living a longer healthy life. So,without further ado, I present to you the six "live longer" superfooods—blueberries; chia; maca; kale; coconut oil; and lentils. Jam packed with antioxidants, while preventing infection. They are rich in bio-available selenium, zinc, iron, vitamin C, E, & B complex, and copper. These sweet jewels of nature are great at promoting brain and memory health. Is Green Tea Considered A Superfood? Most of the time we think of black and green teas as our super antioxidant teas. Both have super powers when it comes to our health, but green tea offers something a little extra, ECGC. ECGC is a very powerful—should have a cape and a big red "S" on its packaging—antioxidant. In Japan, research discovered that men who regularly consumed green tea had much lower cholesterol than the guys who drank none. The UK and Spain did studies that prove ECGC can inhibit cancer cell growth. For my money and health concerns, having a sweet steeped green tea in lieu of a sugary sodium packed soft drink can have a considerable positive impact on my overall health, not to mention the tasty encounter to boot! Omega 3 fatty acids rank high on the nutrient list for chia (seeds). They help to keep you hydrated, they regulate blood sugar levels, are rich in protein, have a good amount of vitamin B complex, calcium, potassium, and everyone's favorite, fiber. If you feel your body slowing down these days, Maca may be just the thing to turn it all around! It improves energy, strength and stamina, while reducing anxiety and depression. Leaving what is possibly the coolest aspect of mighty Maca to consider—which is that it is know to be a very powerful aphrodisiac. Kale contains carotenoids that help prevent against cancer, heart disease, and infections. It is a champ in the fiber arena, while packing in a high quantity of vitamin K. It also provides vitamins C & B6, folic acid, manganese and potassium. Kale is one of the world's top ranked superfoods. Coconut oil helps the body absorb other nutrients more easily. It contains a miracle nutrient called monolaurin, which is found in breast milk and few other places. It acts as an immune system stimulant, to help fight illness and aging—including flu, colds, and infections, while its water helps reduce vomiting. Coconut oil also works great as a body massage oil! In its room temperature state, the oil will be a solid, but once it reaches 80°F it will turn to its liquid form. On top of everything else, this wonder food helps control diabetes. Check out the video—at above right—to discover how to get coconut oil into your diet and a few more of its benefits. Your lifespan will thank you in the end! Beans and lentils are full of soluble fiber that is great for reducing cholesterol among other things. 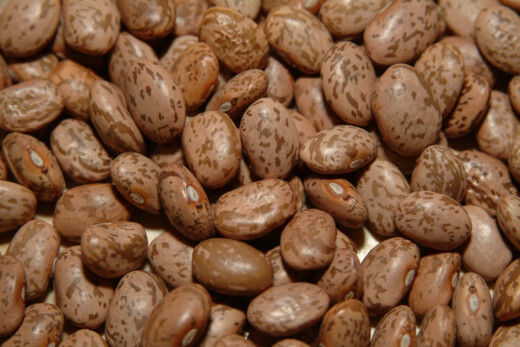 They are really high in iron, high in protein, and very filling which helps with weight loss. When added to a superfood weight loss diet, the results can NOT be questioned. Now that you have a handy list and some information about how to use superfoods to remove some of those unwanted pounds, you can begin to enjoy the wonderful taste and sweet natural properties they offer. Healthy does not have to taste like cardboard rice cakes and dry lettuce! Choosing a variety of the superfoods available on the market today, can be like a party platter of goodness within your everyday meals. Now, go eat to improve your health while reducing that waistline! How Much Do You Know About Superfoods? What are the Most Nutritious Superfoods? Comments for "Weight Loss Superfoods That Taste Great"
An important hub that is filled with useful and interesting info. I enjoyed the quiz as well, however, the info was the icing on the superfood cake! Thanks! UP/U/I /A and sharing. Great ideas, especially since people are constantly trying to lose weight for this time of year. I try to eat healthy without depriving myself of my less healthy favorites. Thank you all for your comments. I am so happy to see how many of you find the hub helpful! Superfoods are a miracle that we have been sitting on for centuries! It is time to unleash the properties for a good body weight, a long life, and some very healthy living! Thank you for the shares, pins and for stopping by. Great article on super foods. I eat your list of the top 6 every day plus more; it puts a sparkle in your eyes and a spring in your step. That's a very well written and useful hub! Thanks for providing the list of super foods. I think each one of us always want to loose those extra pounds. Great to know all the items needed to achieve that. I was pleased to read that I eat most of these super foods. I am about to boil up some lentils. Must get some more quinoa too. It is a very nutritious food. Great hub. I agree that adding super foods to a diet can only be good for you. I still can't stand yogurt or Greek yogurt or any form of yogurt. The only way I can still eat dairy is with cottage cheese. Fruit and I still have problems too, but that's another story. I really need this one so here's to so many more hubs for us both to share on here. carol7777~ I am with you, I try to only eat real from the earth foods. And what isn't whole raw foods are those that I hand make and cook myself. Few to no processed anything, and surely NO preservative! Thank you so much for the HubLove and pinning. I appreciate your support! You did a SUPER job on this and really caught all the best of the super foods. We are health officiandos and I rarely use anything that comes ina can or package...If you base your diet around produce you can hardly go wrong. Thanks for a great hub..Voting up++++Pinning.